Is it just me or do the VLC and Trash icons look small? Last edited by ibuclaw; January 2nd, 2010 at 11:55 PM. Reason: removed [img] tags. Like I said earlier, I'm no good with GIMP, so if I changed those icons to .gifs, and then into .svg to use in Inkscape, I could try a bitmap trace and then try to create a fill/stroke of that bitmap trace to make the neon effect..... but I bet it would look terrible and would be a lot of effort for a crappy icon. Now if I found a nice VLC.svg icon and a Garbage Can.svg icon then it would be easy to delete the fillers while keeping the strokes, and resize the icon boundary to 128x128 and also the icon to around 109x109 pixels, center it 10pixels to the right and about 15pixels up from the bottom. (that is how the other ones are). Then I could change the stroke (the neon part of the image) to whatever neon color like orange, and blur it at about 2%, then duplicate the layer and blur that one at like 4%, and add a shadow of the same color. The VLC image should be easy to find, but a garbage can like that won't be. If I find some time and feel like being creative I might try, but now that you have the sizes I used for the Google Earth, Chrome, hulu, Skype, Frostwire, and Amarok icons then you might try to make one with Inkspace..... just take the first 3 simple tutorials for Inkscape in the Help-->--Tutorials button on the menu bar. crimesaucer, you missed the post count 1337 but your work definitely speaks for itself. Totally worth it. Great job. "There's no such thing as illegal immigrants, only illegal Governments..."
Can anyone tell me where the google chrome icon is stored? I am trying to change the icon from the default one (too low of a resolution in my dock) but I cant seem to find it. 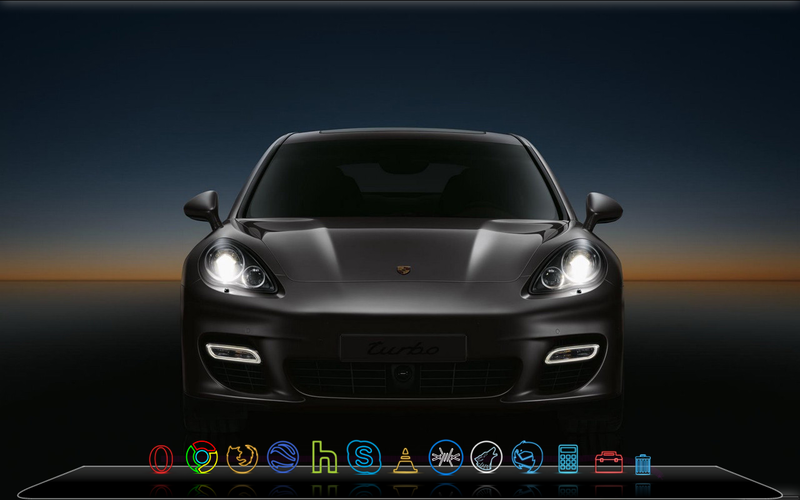 Ive looked in ~/.config/google-chrome and /usr/share/icons. Thanks for the suggestion. However, I tried all three searches and still havent been able to find it. Hi guys, I'm new. Here is my attempt for a Google Chrome Neon style icon. Hope you like it, even if you have already made nice icons. How do I get the neon calculator icon?